Hand-painted wand display. Diecast metal MACUSA emblem. Display measures 16.5” tall. 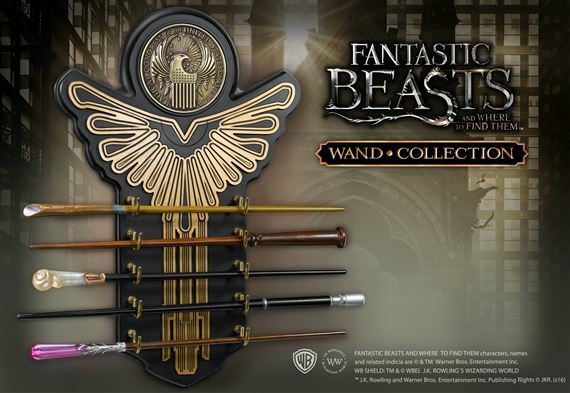 Includes the wands of Newt Scamander, Porpentina Goldstein, Queenie Goldstein, Percival Graves and Seraphina Picquery. Wands measure 14” to 15” long.